In the most simple terms, Threads Of Evolution designs handbags and accessories. All global movements begin at the local level but eventually have worldwide impact. The best items come from around the world touched by different cultures, influences, and craftsman. The world has become a borderless wonder, full of never ending inspirations and opportunities. The symbolism used in their inauguration collection is the rug. Something that is walked on, beaten to get clean, and thrown around. However, they make it into a beautiful bag that carries your most important worldly possessions. The rugs start out in India as scraps of cotton and remnant fabrics. From there they are woven into different size rugs. They’re custom dyed to different color palettes for that collection. When finished in India, they’re on their way to Los Angeles, California and made into beautiful bags. It's all in the details! 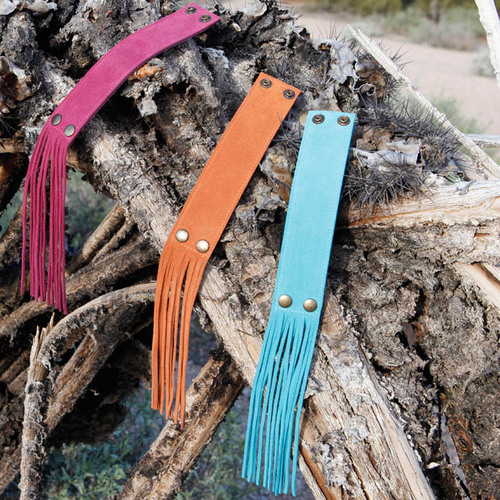 We LOVE the leather tassels that you can hang off their bags!